Congressman Garret Graves of Louisiana, sponsor of the STORIS Act in the House of Representatives, has sent out a letter seeking support for the legislation. In it, the illegal nature of STORIS' export is acknowledged, as well as the support for the legislation by STORIS veterans. Interested in writing a letter of support, email cgcstorisqueen@gmail.com with your Zip Code+4 and you will receive a customized template with your legislators' names and contact emails. The Brownsville Herald newspaper of Brownsville, Texas, has published a story about the STORIS Act legislation. I am still working with STORIS vets to put together support for the legislation and have received several terrific letters. Congress goes on vacation starting next weekend and won't return to session until after Labor Day. We won't have many opportunities to air our grievances related to the ship's destruction, so I certainly encourage everyone to get on board with this effort. Email me at cgcstorisqueen@gmail.com and send me your Zip+4 Postal Code and I'll send you a customized template with your legislator's contact information to help make the process as easy as possible. Maritime Executive has published the third op-ed piece related to the STORIS Act, written by K. Denise Rucker Krepp, a representative of the domestic ship recycling industry and former chief counsel for the U.S. Maritime Administration. Maritime Executive has published the second of a multi-part op-ed piece on the STORIS Act. The next installments will specifically address STORIS herself and the issues surrounding her illegal export. A very significant release from GSA. Please read this. This release contains correspondence involving the STORIS Museum and GSA as well as correspondence and documentation between the buyer, Mark Jurisich of US Metals Recovery, and GSA. There are a lot of new twists in this paperwork and some new questions of a legal nature. Page 67 is particularly revealing, as Jurisich complains of the problems he is having because of STORIS Museum and the ship’s historic designation. No one in the Bay area wants to help him because they don’t want to have blood on their hands. The GLACIER fiasco probably played into that…but so did his attempts at leasing space in the Bay area to cut the ship with untrained, illegal immigrants as we were told by reliable sources. We’ve also discovered that there was foreign money involved in the purchase of the ship. The buyer speaks of a foreign wire transfer, but no identification of where the money came from. Federal Laws require identification of funding for foreign wires greater than $10,000. Again, this documentation is significant and will hopefully help lead to some serious investigation of the GSA activities with STORIS. The Federal Laws broken with the sale of the ship are stacking up. 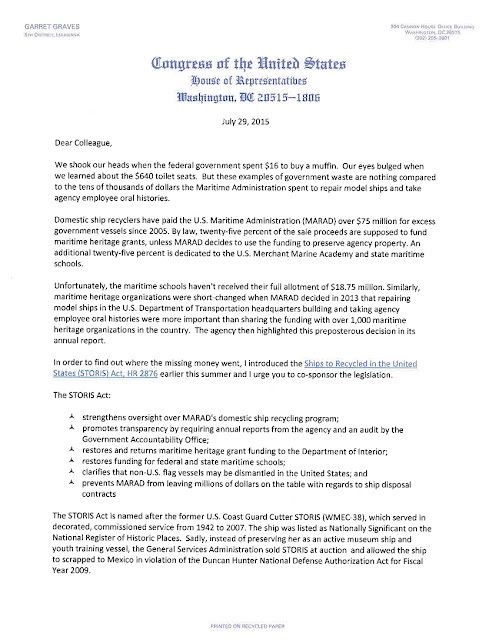 The language of the STORIS Act and the audit in the legislation would encompass the ship sale activities with GSA as it relates to MARAD. We need the legislation to pass. Read these documents then constructively vent your disgust and frustration with what was allowed to happen by writing your legislator to get the STORIS Act passed as S 1511 in the Senate and HR 2876 in the House. P6- Bob King inquiry from Sen. Mark Begich’s office. GSA notes Mark Jurisich is high bidder, below reserve, GSA awarding ship in “best interests” of government. 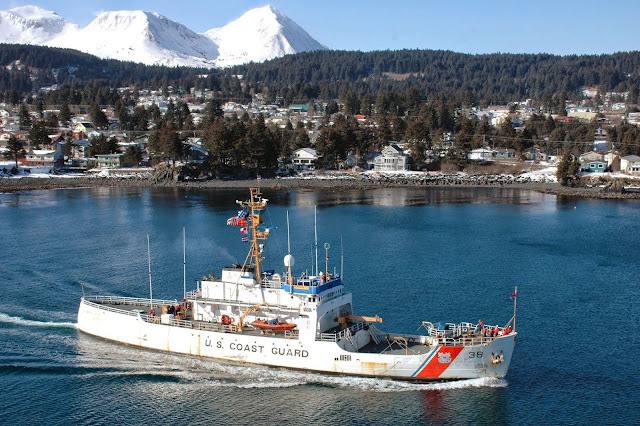 P19- Discussion from USCG about ship leaving the country - Kristina.N.Williams from the U.S. Coast Guard. Problem is, the ship should not have legally been allowed to leave the country for scrapping purposes. Enjoy the vessel" Seriously? GSA knew he was scrapping her. P28 – Discussion between Jurisich and Dillard re: Commander Marsh from DOD and discussion of delivery of towing bridle for installation on ship – Addl discussion from Dillard about DOD being involved as far as moving the ship out of the country. 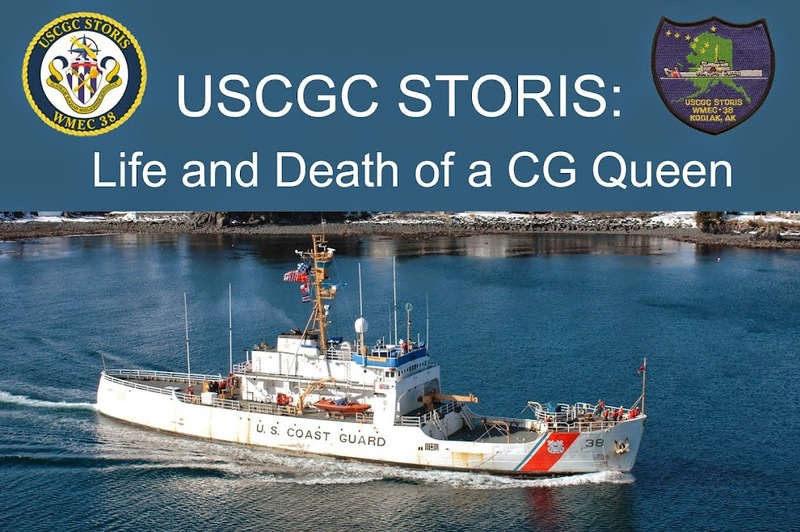 Because STORIS was a military vessel, the State Department and Department of Defense had to be involved in authorizing export of the ship. 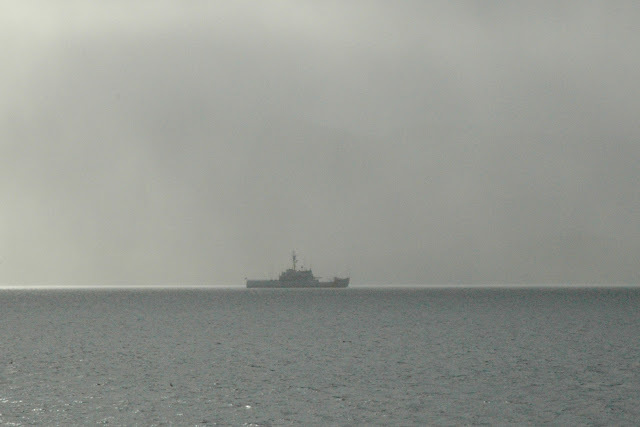 This automatically should have prevented the ship’s export because under Section 3502 of the Duncan Hunter National Defense Authorization Act of 2009, it is illegal to export US Government ships for foreign scrapping unless there is a compelling reason, no domestic means to do so, extenuating circumstances are involved and strict guidelines are met. That would not apply in STORIS’ case. The export was illegal as hell. P34- Oct 15 deadline to move the ship; movement within US not require clearance from DOD – extensions of deadline costly to government per GSA’s Dillard. Ship wasn’t moved until Oct. 25. P38- Jurisich: can’t move vessel of STORIS’ size without lead time, says CG paid for MARAD storage until end of year (this is not true, as should be end of FISCAL year which would have been Sept 30. This is confirmed later in documents.) No indication who paid for the extra three+ weeks of storage at Suisun Bay. P56- Dillard: Must be moved no later than Oct 31- copied to Jeff Beach of CG and Jeff Siragusa of MARAD. Remember, Jeff Siragusa is the former Barletta scrapyard executive from Baltimore that walked away from scrapping operations on the East Coast, leaving MARAD holding the bag with two partially scrapped ships in Baltimore that were floating haz-mat disasters waiting to happen. Yet MARAD turned around and hired him. P67- Jurisich asking about export restrictions from GSA and Beach, told there were none. Also discussion of flagging for the ship, to reflag or not. Export issues of military equipment. In one breath it’s a matter of selling to the public, but according to DOD, the ship is military equipment, (therefore should fall under Duncan Hunter, but no mention of the Duncan Hunter domestic scrapping restriction). 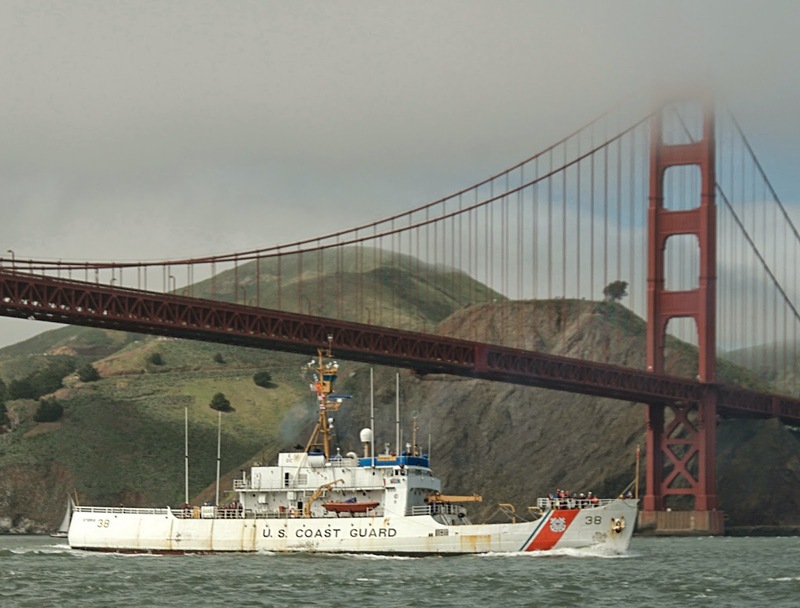 Also issues where no one in Bay area wants to touch ship because of historic status. Jurisich can’t wait to get the ship out of the country because of the historic status and the STORIS Museum’s publicity and general awareness of the ship’s significance. P74- STORIS can’t be moved easily because she is anchoring IRIS and PLANETREE while powering other vessels. Jurisich describes conditions of how STORIS Museum got in contact with him. His description of the nature of the contact with STORIS Museum/Last Patrol is totally false, as he had an associate contact us. MARAD told us nothing, and other GSA paperwork shows that I had to FOIA for the buyer info. By the time I received the FOIA answer, we had already been in contact with Jurisich. We never asked Jurisich to have the ship donated to us for free. We may have offered him the chance to do so for a writeoff, but for the most part, STORIS Museum and Last Patrol were trying to negotiate a reasonable purchase price in combination with a tax deduction since both groups involved were IRS 501 c 3 nonprofits. Jurisich said there would be no benefit to a deduction, so he wasn’t interested. P82-83- Discussion of moving STORIS as military equipment to Mexico through ITAR (International Traffic in Arms Regulations). Again, should have prevented export for scrapping. P109- Confirmed that storage paid for FY 2013, so after Oct 1, fees will be incurred. Fee of sale for $250,000 to STORIS Museum came up with Loback estimating that scrapping would cost $200,000. 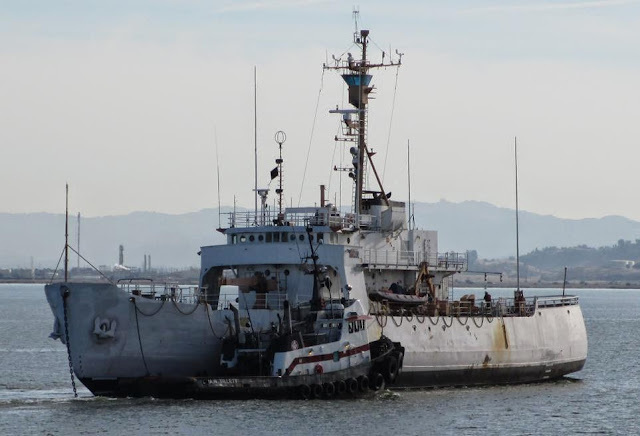 Actual scrap estimate given to me by Gary Whitney from Mare Island Ship Yard was $330,000 with haz-mat and labor, with best case scrap value of ship at appx. $290,000. This did not include insurance, towing or mooring fees, either, so how any profit could be made from scrapping STORIS is still highly questionable. P157 -159 – email including correspondence with Jeff Sause towing company based in Oregon. Details of ship from GSA auction, nothing about export restrictions. Ship eventually towed by Pacific Tug. According to our West Coast tug expert, Sause is based in Oregon and does long-haul towing, particularly log barges to San Diego. P161-168- Discussion about COFR, point of contact for pollution control center, discussion regarding Defense Logistics Agency and GSA bet Jurisich and Dillard. Jurisich speaks of wire for $50,100 coming in… from where? Unknown financial backer? Federal law requires that foreign wire transfers in excess of $10,000 must have identification of the money’s source. This is through the 1970 Bank Secrecy Act and the PATRIOT Act of 2001, some MAJOR federal laws. There is no indication in any of this correspondence that GSA requested to know where the foreign money was coming from. P169-171 through to 183 - COFR discussion. Beach asks GSA when he can release name of buyer as STORIS Museum wants to discuss purchasing the ship as one of our backers was out of the country and we assumed ship would be relisted since reserve not met for auction. P176- Reference to me asking for name of buyer, forcing me to FOIA, FOIA process streamlined, etc. It took almost a month to get a response just to find out who the buyer was and by that time, he had already contacted us through his intermediary and already gone through his extortion terms. GSA left my phone number in again that I had to resubmit to GSA to have redacted. P180-181- More about FOIA, specifically Region 4 streamlined, but FOIA has to go through HQ to be assigned to region. P185-187- correspondence between Jurisich and Dillard, discussion of wiring of funds Internationally, again question through Federal Law as to where the money came from. P198-199- Forms for STORIS Museum to become eligible for GSA program Jim Loback’s personal information left in. 200-206- The 501 (c) (3) paperwork for STORIS Museum. The next GSA release is supposed to come on or before August 7. On June 28, 2014, I sent in an appeal to the U.S. Coast Guard related to the Freedom of Information Act request that I had submitted on Nov. 4, 2013, right after STORIS was illegally exported to Mexico. I have heard nothing in response. So, I sent out an email to ask what the Coast Guard is doing about the appeal and for other documents that GSA and MARAD have sent to CG FOIA HQ for review and release. First on the recipient list is Commandant Paul Zukunft. Second recipient list is RADM Steven D. Poulin, chief counsel for the CG. Also on the recipient list are the FOIA HQ, Amanda Ackerson, the civilian FOIA representative with whom I had correspondence re: STORIS and Nikki Gramian of the Office of Government Information Services, a branch of the National Archives that is supposed to mediate FOIA issues. I am writing to you in regard to the attached Freedom of Information Act appeal submitted to the U.S. Coast Guard over one year ago (June 28, 2014) for which I have received no acknowledgement or response. This FOIA was in regard to records related to the USCGC STORIS (WMEC-38). The original circumstances of the appeal are disappointing enough, but to then have to go a year without a response adds further insult to those of us who are rightfully seeking answers as to how STORIS could be allowed to be excessed and exported for scrapping in Mexico in violation of federal law. There are also outstanding FOIA matters related to interagency communications with the General Services Administration and the U.S. Maritime Administration. 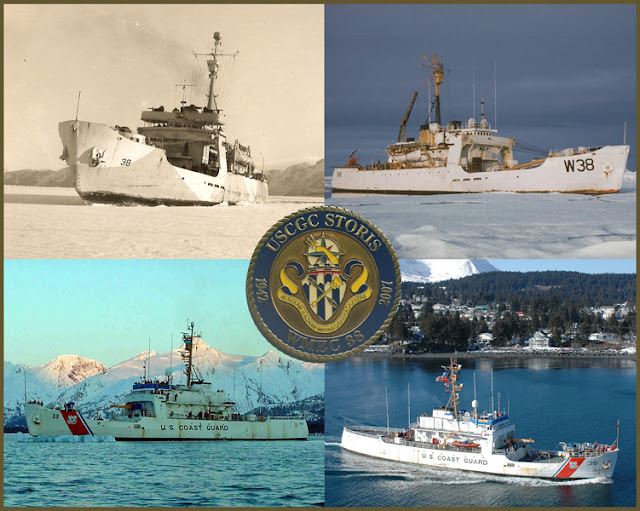 This involves documents that have been referred by these agencies to U.S. Coast Guard for review and release for FOIA requests that I have submitted to those agencies. I am wondering where these documents are in the FOIA review process of USCG. I would appreciate a response to the appeal, considering that, again, it's been over a year with no response. Your attention and cooperation with this matter is greatly appreciated. I will update if.when I hear anything. A year is inexcusable. EPA is next. It was a year for them in MAY. Your appeal letter of June 24, 2014, regarding FOIA 2014-0556, was received by this office on June 28, 2014, and assigned FOIA appeal number A2014-025. Your appeal is currently under appellate review within the Office of Information Management Programs and Policy (CG-611). Due to the time-intensive, but necessary, review procedures, we cannot accurately estimate when your appeal will be decided; however, please be assured we will provide you with a decision as soon as possible. On behalf of Admiral Zukunft, please accept our apologies for the lengthy delay in responding to your appeal. We will continue to work to improve our responsiveness to the public on Freedom of Information Act (FOIA) inquiries to avoid situations like that encountered in your case. I have spoken to our FOIA Appeal Officer, Mr. Maher, as well as our legal advisor, Captain John Luce, and both are committed to ensuring you receive a reply on this matter in the near future. We understand your desire for transparency and will ensure we consider your appeal fairly and equitably under the law and policy. We appreciate your interest in gathering information for the distinguished crewmembers of STORIS and maritime supporters throughout the country. Have a good afternoon sir. Maritime Executive has published the first of a multi-part op-ed piece on the STORIS Act. The next installments will specifically address STORIS herself and the issues surrounding her illegal export. 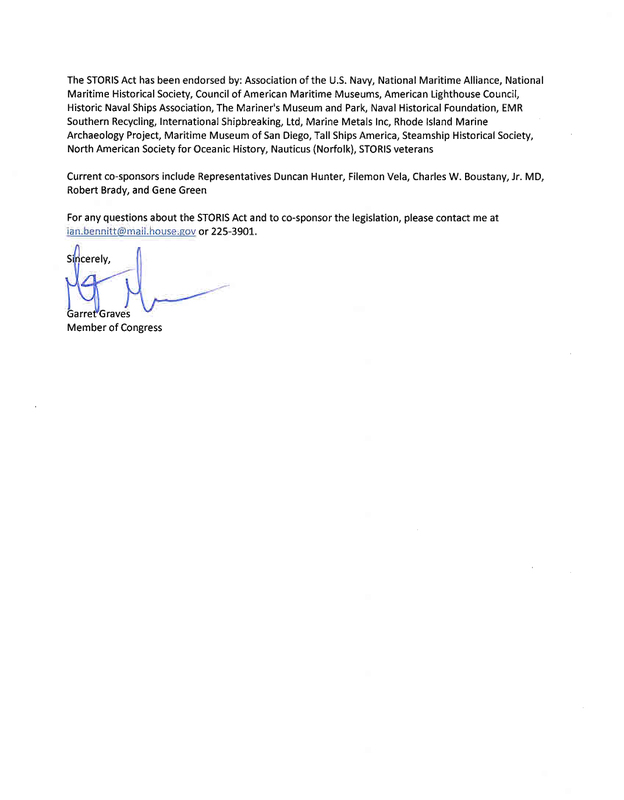 A draft letter asking for Congressional support is here: https://goo.gl/lChSuL. It has been updated to reflect introduction of HR 2876. Modify it, use excerpts or do whatever works to fit your needs and send it out. 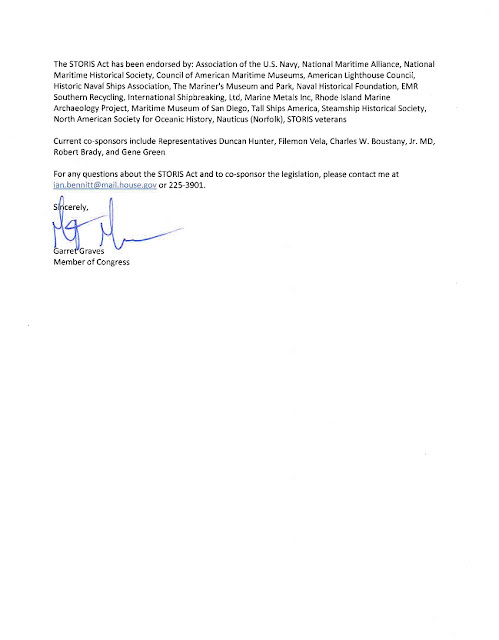 The letter contains the basics to which STORIS supporters can add their personalized touches to appeal to Congress while also expressing their concerns about how STORIS was allowed to be destroyed. If anyone needs any assistance, message me through Facebook or email at cgcstorisqueen@gmail.com.